It took awhile until Sy Teverstein found a man who could take care of his book stall business every Tuesday. When he did he thought how excellent; he could now visit his frail mother without fretting so much. The guy had been a regular customer over the past year, buying a monthly gardening magazine. Sy thought that odd since it was clear the customer lived in the neighborhood and there was no land for gardening around there. But, hey, it might be the window box sort that he enjoyed looking at, or maybe there was a rooftop the man had the privilege of filling with a square of plantings. It could be a whole vegetable garden feeding a family of ten for all he knew. He enjoyed speculating. But Sy knew next to nothing about such things. He was the book seller, had been since his fifty-second birthday which gifted him with a lame ticker. Went from fat cat accountant to skinny book seller with pacemaker. It was a most simple job. The magazines were contracted by an outside publishing service. Books were courtesy of (for a fee plus agreements signed and sealed) a chain bookstore by the river walk. You’d think the store would be grateful for the chance to sell them on the street but they wanted it the other way around. Sy did okay. People liked to buy coffee at next door and then get reading materials. Sy took their money and got to know people. He still liked it at the end of most days. But about that garden lover. The two of them got friendly over time. His name was divulged some time after Sy’s comment on the cover of his new gardening magazine. So it went each month, a little of this and that talked over, a few laughs, until in late June Sy stuck out his hand and introduced himself properly. Sy thought that was an efficient way to handle it. They got to talking about weather, horse races and living close in city center. Harlan was semi-retired, a machinist who was relieved of his job earlier than planned. He was looking for jobs but not much had turned up. Sy got the idea shortly after. He had to travel a couple hours to and fro to see his mother in the suburbs, one of those decent, bland retirement places. She was heading toward eighty-five at a speed he wasn’t prepared for, at all. In fact, he feared her imminent death. She had been a good mother, not easy but well-meaning, with a flair all her own, not always around. But still. He badly missed her just thinking of her leaving for good. The problem was that he hated to leave his book stall and he also didn’t like to give up his Sunday afternoons–the one day he had most of the day free since he closed up shop around eleven. So when Harlan seemed like a reliable sort, he approached him with his idea. Harlan nodded vigorously and didn’t think twice. The deal was completed with a handshake and a plan for the following week. It went well despite Sy’s wife berating him for not doing a background check. His mother was visited each Tuesday and he was relived the book stall was manned by a regular sort, a person who liked print and liked working even one day a week. The weeks went by. No one complained. In fact, some of the customers said the change was refreshing and found it commendable he was tending to his ancient mother. Sy thought, who wouldn’t do that if they had any heart at all? Then one August Wednesday morning, Mr. Calhoon stopped by earlier than usual for his daily newspaper. He seemed in a rush but bent toward Sy with his ice blue, heavy-lidded eyes. A familiar scent of expensive aftershave wafted into Sy’s nose and made his eyes water but he smiled at him, grateful for the routine one buck tip. “Wait a minute, he just couldn’t find it.” The thought horrified him. Had he been duped? His wife would let him have it for this one. “Suit yourself, see you tomorrow,” Mr. Calhoon said as he loped away. Next Tuesday morning Sy stayed back. He decided coming straight to the point was best. He shared the complaint and waited for Harlan to respond with a laugh and good explanation. Sy considered the man. Harlan had taken off his cap and held it by the brim. He looked down at the sidewalk, his round face pink with embarrassment. A customer came up. Afterwards, Harlan asked if Sy was going to see his mother or not. Sy wiped his brow. It was blasted hot already. 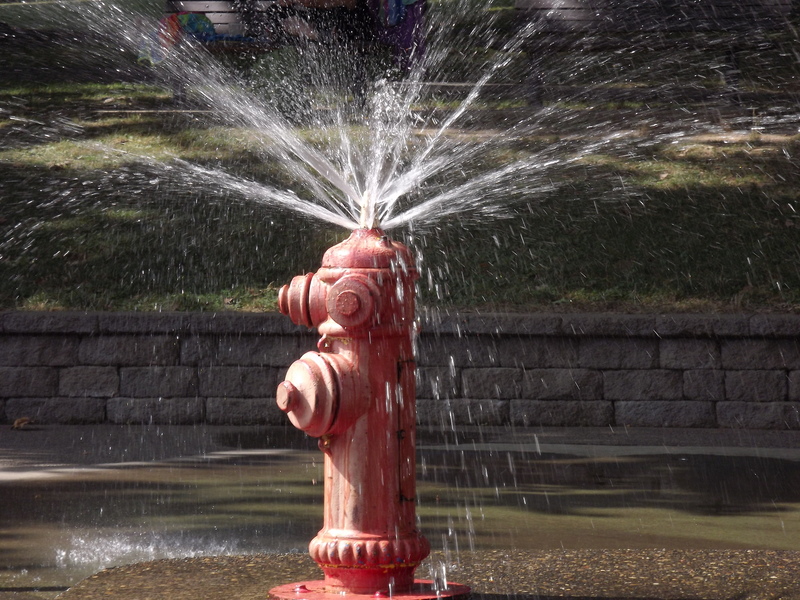 He looked across the street, at kids already running out to enjoy the last days of summer, at a fire hydrant at the park spraying cool water on a stray dog, garbage men doing their work like they did every week. He waved at the woman, Thelma, who always sat on her stoop watching. Harlan watched him go, bald head shining in cheerful morning light. He thought Sy Teverstein was a good and more than fair man. Harlan chatted with a customer, counted the change carefully, then realized bundles of fresh new magazines were due in that afternoon. He looked forward to it.